Throughout the ages, astrologers have sought a reliable method of evaluating planetary strengths by assigning numerical scores based upon certain dignifying or debilitating factors. The 11th century Arabic astrologer, Al-Biruni, mentions that this was common practice amongst the Babylonians and Persians, who compared the totals of each planet in order to discover which was most eminent in the chart. This was then known as the Almuten (from the Arabic: al-mateen, meaning 'the firm one' or 'strong in power'), or Lord of the Geniture (or Nativity), and given particular consideration for its powerful influence in defining the temperament and observable traits of the native. Modern simplification of natal technique, which defines the 'Ruler of the Chart' purely by the planet that rules the sign on the ascendant, will obviously fail to draw the correct focus if dignifying and debilitating factors are not accounted for. In horary charts, sensitivity to a planet's overall condition is essential, particularly in contest charts, where the person symbolised by the highest scoring planet would then be judged most likely to succeed. William Lilly gives a table of factors to consider on p.115 of Christian Astrology - 'whereby to examine the Fortitudes and Debilities of the Planets'. According to this, numerical scores vary from +38 for an exceedingly dignified planet to -38 for a severely debilitated one. Similar tables exist with various adaptations - some assign dignity for planets in their house of joy, and detract for planets in houses opposite their house of joy. Some give values for planets increasing in northern latitude and detract it for planets increasing in southern latitude. But overall it's important to understand that these tables exist as a guide to judgement, not a substitute for it. Ultimately common sense and a discretionary eye will replace the need to work with number-scores. These tables are a good place to begin an examination of the concept of dignity however. Lilly's table is listed below, illustrated through an example chart by Derek Appleby, who set great store upon contest charts responding to dignity scores. The use of Lilly's table is aptly illustrated by the horary chart, Will I win the tribunal? by Derek Appleby  . The querent, employed by a small firm of architects, was considering other employment opportunities and had asked his employers if they would be prepared to provide him with a reference. They agreed to do so, but the following week advertised his job in the local press and gave him notice. He felt he had been wrongly dismissed and had set Industrial Tribunal proceedings in motion. Derek judged the horary by considering the numerical strengths of the two main significators: the ruler of the 1st house (Mars) to represent the querent and the ruler of the 7th house (Venus) for his adversary, his former employer. The resulting scores and outcome of the situation are given on the next page to allow you to work it out for yourself (if you wish) before viewing Derek's conclusion. Both planets were direct in motion; Mars was moving slowly and Venus was moving swiftly. 1 ] Mutual reception is explored in the next section of this article. It occurs 'by sign' when a planet is located in a sign ruled by another planet which is simultaneously located in the first planet's sign - such as when Mars is in Libra and Venus is in Aries. Mutual reception 'by exaltation' is where a planet is in a sign that is the exaltation of another planet which is simultaneously located in a sign that is the exaltation of the first planet - such as the Moon in Aries and the Sun in Taurus. 2 ] Not applicable to the Sun or Moon since they are always direct. For the Sun, we can only say he is oriental in the figure, or in the oriental quarter of the figure, or occidental, &c., all other planets are either oriental when they rise or appear before him in the morning. Occidental, when they are seen above the earth after he is set. 4 ] The meaning of the terms 'combust', 'sun's beams', and 'cazimi' are explained under combust in the glossary of terms. 5 ] A 'partile' aspect is one which is exact, or within 1 degree of perfection. 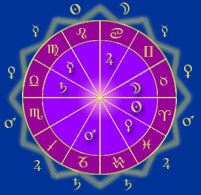 6 ] Beseiged: surrounded by hostile forces; ie., to separate from Saturn and next apply to Mars (or vice versa). © Deborah Houlding. For permission to reproduce extracts or diagrams, please contact the author.